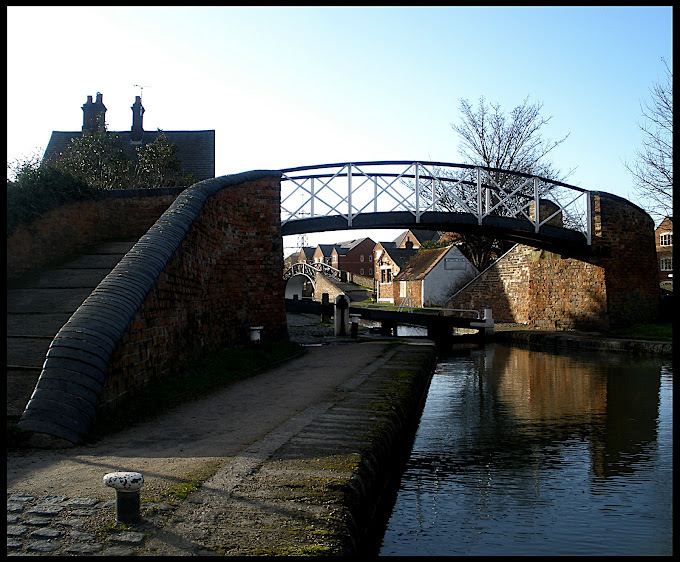 The complex of ancient canal features at Hawkesbury Junction is so very picturesque that it is actually impossible to avoid falling into the trap of shooting the predictable. This is one such predictable shot, the roving bridge where the horses used to cross the canal to the opposite towpath. This view must have been done to death, it is so attractive to the eye - every narrowboat holiday maker must shoot this as they approach the Junction. I wonder what the whole area looked like when it was the coal dust choked wharf of yore?